Representatives from the Boston Redevelopment Authority, left, including Gerald Autler addressed members of the Harvard-Allston Task Force during its first meeting in over 100 days on April 8 to discuss the North Allston/North Brighton Housing Stabilization Program, ongoing construction and demolitions at the SEAS complex and Charlesview apartments, and the renewal of Everett Street. UPDATED: June 11, 2015, at 3:56 p.m.
Today, the clang of jackhammers seems ubiquitous at the corner of Western Avenue and North Harvard Street in North Allston. As construction teams demolish one aged apartment complex, a replacement springs up across the street. After years of false starts and unrealized plans, one thing is certain in North Allston: Harvard’s development is underway. The Harvard-Allston Task Force, an advisory board managed by the Boston Redevelopment Authority made up primarily of Allston residents, played an active role in the finalization of the University’s development plans in the fall of 2013. With construction underway, however, some Allston residents feel like this avenue of communication can no longer do enough to guarantee a community voice is heard in future conversations regarding Harvard’s construction. In its current iteration, the University’s planned development in Allston includes a nine-project Institutional Master Plan for 1.4 million square feet of new construction and 500,000 square feet of renovations, a retail and residential commons, and a new School of Engineering and Applied Sciences complex. Preliminary work on the SEAS complex has started, and a number of building construction projects both at the Business School and in Barry’s Corner are nearing completion. 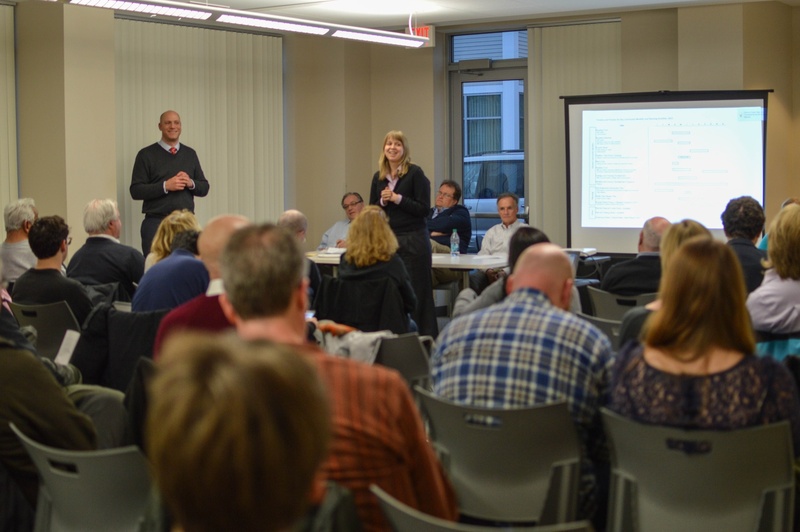 Allston residents say that communication from the University on its construction remains constrained by what they describe as a failure to reach certain core constituencies and to engage them on meaningful topics on the future of the neighborhood. While representatives from the University point to efforts to improve outreach and draw more segments of the community into the conversation, Allston residents like Paola M. Ferrer say that barriers continue to impede engagement from minorities, non-native English speakers, low-income residents, and residents who are less knowledgeable about Harvard’s relationship with Allston. These outreach challenges are compounded by allegations that the University refuses to engage the community in good faith. According to BRA senior project manager Gerald Autler, the BRA provided interpreters at community meetings around 2006 and 2007. The BRA ultimately discontinued those services, however, in the face of under-utilization. Years later, Allston residents are questioning whether task force meetings are accessible to all constituents. According to Ferrer, an apparent lack of enthusiasm toward interpretation services does not necessarily indicate an unwillingness on the part of non-native English speakers to participate in community development. Rather than a failure among Allston residents to take full advantage of inclusionary services provided at meetings, Ferrer and other Allston residents point to what they say are shortcomings in Harvard’s and the BRA’s outreach efforts. “Generally, a specific segment of the population is interested in task force meetings and others are not—and we might not be hitting everyone who might be interested,” acknowledged Autler, who characterized current outreach efforts as effective but imperfect. Autler suggested using an online forum to engage constituencies who cannot make meetings due to conflicting work schedules. "We need to challenge the assumption that only a very narrow segment of the community [is] interested in the community," said resident Paola M. Ferrer. For Allston residents without an Internet connection, however, Harvard’s development plans may be out of reach. According to Annie Tomasini, a Harvard spokesperson, much of the University’s contact with Allston residents occurs online through newsletters, Facebook, and Twitter. According to Tomasini, the University does supplement these weekly online communications with hard-copy mailings a handful of times each year, much of which are in English, and monthly drop-in meetings with senior project personnel that are open to the public. With just this connection to Harvard’s development trajectory, members of the community who do not regularly attend information meetings lack the level of prerequisite knowledge to fully participate in the discussion, Ferrer said. Ferrer also said that inconsistently scheduled task force meetings conflict with other community meetings—such as those of the Allston Civic Association—and can create challenges for residents with children and busy work schedules. According to Allston resident Richard Parr ’01, the responsibility for outreach failures may not lie solely on the University but also in the composition of the Allston community itself. According to Parr, the neighborhood’s high percentage of transient residents, who are less likely to participate in community organizing, creates a unique outreach challenge. 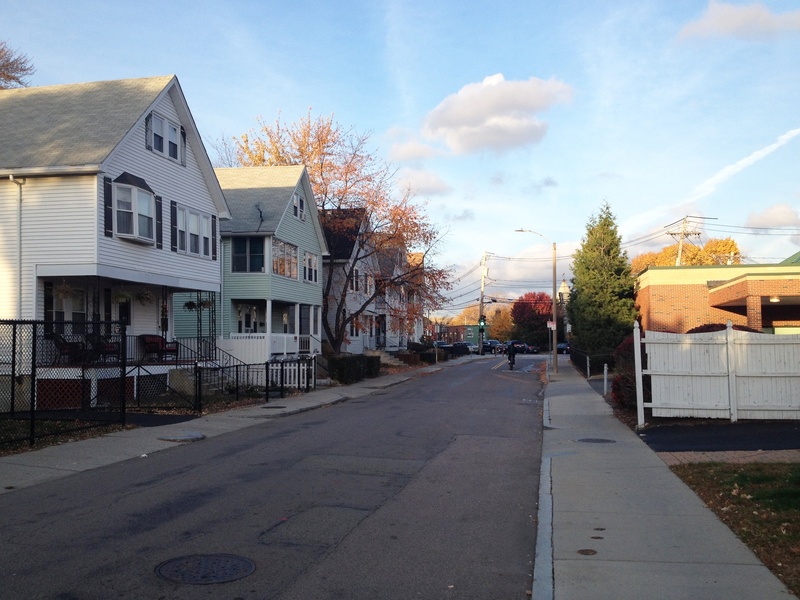 Only 10.2 percent of housing units in Allston were resident-owned in 2011. Even some Allston residents who are able to participate in the community discussion, however, find themselves wondering if Harvard engages in an open partnership or conversation with the community. Some say that Harvard pursues and announces projects relevant only to its self-interest. The Allston neighborhood of Boston. “Announcements that come from Harvard come in one direction, but community input doesn’t really go the other way,” said Mook, an Allston resident. “It’s a little myopic, isn’t it?” Mook expressed hopes that the University would at least show that suggestions from neighborhood leaders would be taken and considered in good faith. Despite efforts made by Harvard to include Allston residents in conversations about development, imbalances of power manifests themselves, according to Allston residents, in the very structure of the task force meetings. “One of the communication problems is that when Harvard is getting ready to present something, they simply come in, present it, and we have little or no time to respond,” said Ed Kotomori, who co-chairs the Allston Construction Mitigation Subcommittee. Kotomori suggested that Harvard should share presentation materials before meetings out of respect for residents, allowing them to prepare questions. According to Casey, Harvard does try to hand out meeting material ahead of time, but the oftentimes dense nature of the material may create misunderstandings. “Our information needs narrators,” he said. Other Allston residents named additional problems with the task force serving as the primary mode of communication between Harvard and the neighborhood. McKinney called for added time for residents who do not sit on the task force to ask questions of Harvard representatives. For Ferrer, the presentation format succeeds in disseminating information but discourages participation, a problem that could potentially be solved by more interactive-style meetings. For Allston resident and task force member Harry E. Mattison, the University appears more interested in promoting its own events than in engaging residents in a discussion of how to translate its long-term development projects into tangible quality of life improvements for community members. “There’s a difference in marketing Harvard’s programs and having a collaborative joint planning conversation about the future of the neighborhood,” said Mattison, who resents what he describes as the discrepancy between community participation in the development process and the pace of improvements to Western Avenue, a potential social and economic hub of North Allston. “I’ve pretty much run out of patience because I’ve spent hundreds of meetings and hundreds of hours and years and years trying to do that, and it’s got us the Western Ave. that we have today, which is not much of a Western Ave.,” Mattison said. For some, any attempts by Harvard to improve communication come too late. Residents and University representatives agree that the planning stage of Harvard’s Allston development has passed with the approval of Harvard’s IMP and the finalization of the University’s associated package of community benefits in 2013. And for residents, there is a real fear that the end of the planning stage brings an end to opportunities for community input. While the Harvard-Allston Task Force does still hold its meetings, they have become far less frequent and discussions revolve around specific details of construction rather than bigger ticket items. For some Allston residents, however, those fruits do not seem so sweet, and feelings of exhaustion and fatigue, rather than reward, accompany discussions of the implementation of Harvard’s IMP.